Imad Mugniyah. [Source: FBI]In February 1994, double agent Ali Mohamed goes to Sudan and trains Osama bin Laden’s bodyguards (see February 4-5, 1994 and Shortly Afterwards). 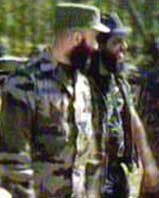 While there, Mohamed arranges security for a meeting between bin Laden and Imad Mugniyah, the security chief for the Lebanese militant group Hezbollah who is said to have directed the 1983 bombing of the US Marine barracks in Beirut, Lebanon (see April 18-October 23, 1983). Bin Laden and Mugniyah are said to discuss upcoming operations. Mugniyah is believed to be involved in the hijacking of an Air India jet in 1999 where passengers will be exchanged for three militants in Indian prisons, including Saeed Sheikh, who will be the paymaster for 9/11 (see December 24-31, 1999). Mohamed will later claim in court that Hezbollah subsequently provided explosives training for al-Qaeda and Islamic Jihad. [Los Angeles Times, 10/21/2000; Raleigh News and Observer, 10/21/2001; Chicago Tribune, 12/11/2001; LA Weekly, 5/24/2002] A number of al-Qaeda operatives train with Hezbollah in Lebanon after this meeting (see Mid-1990s). Dan Benjamin and Steve Simon, director and senior director of the National Security Council’s counterterrorism team, will later write that “The meeting between the two preeminent terrorists of the era reportedly did take place, and there was an agreement to cooperate. But there the record ends; there is little evidence that a long-term bond between the Sunni and Shiite groups was ever formed.” [Benjamin and Simon, 2005, pp. 128] Mohamed will return to the US after an FBI agent phones him and asks to speak to him about an upcoming trial (see December 9, 1994). Khaled bin Laden. [Source: Straightegyptians(.com)]An article in the respected Jane’s Intelligence Review discusses the growing radical Islamist militant movement around the world and says, “Among the financiers is Osama bin Laden and his brother Khaled.” [Jane's Intelligence Review, 4/1/1995] Khaled bin Laden is known as a horse breeder in Saudi Arabia. There are apparently no further mentions of him in the media regarding the financing of militants. Hussan al-Turabi. [Source: CNN]On June 26, 1995, there is a failed assassination attempt on Egyptian President Hosni Mubarak as he visits Ethiopia (see June 26, 1995). The CIA soon concludes Osama bin Laden authorized the operation, and they plan a retaliation attack. [US Congress, 7/24/2003] Evidence suggests that the government of Sudan and Hassan al-Turabi, Sudan’s leader, know where bin Laden is living in Sudan and helped support the plot. The United Nations Security Council places sanctions on Sudan as a result. 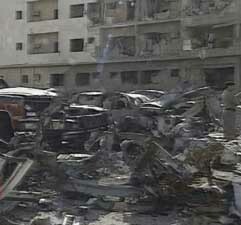 The US examines options for attacking bin Laden and/or al-Turabi’s facilities in the Sudanese capital of Khartoum. The options developed by the US military are rejected for being unstealthy and a de facto war on Sudan. In the ensuing months, there are reports of Egyptian covert operations against bin Laden and an Egyptian military build-up on the Sudanese border. These factors influence bin Laden’s decision to move to Afghanistan in 1996 (see May 18, 1996). [Clarke, 2004, pp. 140-41] One suspect in the assassination, Anas al-Liby, moves to Britain. The British government not only refuses to extradite him to Egypt, but secretly hires him to assassinate the leader of Libya (see (Late 1995) and 1996). Bin Laden writes an open letter to King Fahd of Saudi Arabia. He calls for a campaign of guerrilla attacks to drive US forces out of the kingdom. [PBS Frontline, 9/13/2001] Bin Laden rails against Saudi government mismanagement and corruption. “Do we not have the right to ask you, O King, where has all the money gone? Never mind answering-one knows how many bribes and commissions ended up in your pocket.” He also decries the presence of US troops in Saudi Arabia. He concludes, “Our best advice to you now is to submit your resignation.” But bin Laden does not call for revolution or the overthrow of the Saudi royal family, and pointedly makes no mention of Crown Prince Abdullah, the next in line to be king. [Wright, 2006, pp. 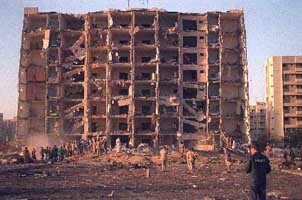 209-210] In November 1995, al-Qaeda will bomb a US-operated training center in Riyadh, Saudi Arabia (see November 13, 1995). MI5, Britain’s domestic intelligence agency, opens a permanent file on Osama bin Laden. However, MI5 still believes bin Laden is a terrorist financier rather than a leader, and the source of his wealth is a “mystery.” [Daily Telegraph, 10/5/2009] MI6 is Britain’s foreign intelligence agency, and presumably it would be more knowledgeable and concerned than MI5 about a foreign threat like bin Laden. The FBI opens a case on Osama bin Laden. Dan Coleman and John Ligouri, members of the FBI’s Joint Terrorism Task Force (JTTF), are sent to the CIA Counterterrorist Center (CTC) to see what the CIA knows about bin Laden. “They were amazed by the amount of material - some forty thick files’ worth - that they found.… Most of the information consisted of raw, unfocused data: itineraries, phone records, associates lists, investment holdings, bank transfers.” The vast majority of the data comes from NSA electronic eavesdropping and most of it has not been properly analyzed (see Early 1990s). They find that the CTC has been conducting a vigorous investigation on Wadih El-Hage, bin Laden’s personal secretary. [Miller, Stone, and Mitchell, 2002, pp. 148-149] Coleman will go on to become the FBI’s biggest expert on bin Laden and will help start the bureau’s bin Laden unit. [Suskind, 2006, pp. 90] It is not known when the CIA or NSA began monitoring bin Laden or El-Hage. Prior to this year, US intelligence has been uncertain whether Khalid Shaikh Mohammed (KSM) is connected to al-Qaeda. But this changes when a foreign government shares information that bin Laden and KSM had traveled together to a foreign country the previous year. [US Congress, 7/24/2003] The country may have been Brazil, since it has been reported that KSM and bin Laden traveled to Brazil together in 1995 (see December 1995). CIA leadership allegedly suppresses a report about Osama bin Laden’s hunt for weapons of mass destruction (WMDs), and only disseminates the report after pressure. After the CIA’s bin Laden unit, Alec Station, is created in early 1996 (see February 1996), one of its first tasks is to see if bin Laden is attempting to acquire WMDs. Bin Laden a Bigger Threat than Previously Realized - Michael Scheuer, head of the unit in its early years, will later say that the unit soon discovers bin Laden is “much more of a threat than I had thought.… It became very clear very early that he was after [WMDs], and we showed conclusively at that point that he didn’t have them. But we had never seen as professional an organization in charge of procurement.” Scheuer will later tell Congress that when the unit finds detailed intelligence in 1996 on bin Laden’s attempts to get a nuclear weapon, superiors in the CIA suppress the report. Only after three officers in the CIA knowledgeable about bin Laden complain and force an internal review does the CIA disseminate the report more widely within the US intelligence community. Bin Laden reportedly visits Qatar at least twice between the years of 1996 and 2000. He visits Abdallah bin Khalid al-Thani, the country’s religious minister who later becomes the interior minister. [New York Times, 6/8/2002; ABC News, 2/7/2003] In 1999, the New York Times reports that bin Laden visited al-Thani “in Qatar twice in the mid-1990s.” [New York Times, 7/8/1999] Presumably one of these times is in May 1996, when bin Laden stops by Qatar while moving from Sudan to Afghanistan, and is reportedly warmly greeted by officials there (see May 18, 1996). Former CIA officer Robert Baer will later claim that one meeting between bin Laden and al-Thani takes place on August 10, 1996. [Baer, 2003, pp. 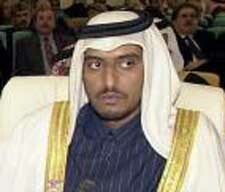 195] Al-Thani is known to shelter Muslim extremists. For instance, the CIA narrowly missed catching al-Qaeda leaders Khalid Shaikh Mohammed (KSM), Ayman al-Zawahiri, and Mohammed Atef at his farm in May 1996 (see January-May 1996). Al-Thani is a member of Qatar’s royal family, but ABC News will later report, “One former CIA official who preferred to remain anonymous said the connection went beyond al-Thani and there were others in the Qatari royal family who were sympathetic and provided safe havens for al-Qaeda.” [New York Times, 6/8/2002; ABC News, 2/7/2003] Al-Thani will reportedly shelter al-Qaeda leaders like KSM even after 9/11 (see March 28, 2003), but the US has not taken any action against him, such as officially declaring him a terrorism financier. I-49, a squad of FBI agents and Justice Department prosecutors that began focusing on bin Laden in 1996 (see January 1996), is upset that the NSA is not sharing with them data it has obtained through the monitoring of al-Qaeda. To get around this, the squad builds a satellite telephone booth in Kandahar, Afghanistan, for international calls. The FBI squad not only monitors the calls, but also videotapes the callers with a camera hidden in the booth. [Wright, 2006, pp. 344] It has not been revealed when this booth was built or what information was gained from it. However, the New York Times will later paraphrase an Australian official, who says that in early September 2001, “Just about everyone in Kandahar and the al-Qaeda camps knew that something big was coming, he said. ‘There was a buzz.’” Furthermore, also in early September 2001, the CIA monitors many phone calls in Kandahar and nearby areas where al-Qaeda operatives allude to the upcoming 9/11 attack (see Early September 2001). Abdallah bin Khalid al-Thani. [Source: Fethi Belaid/ Agence France-Presse]Since Operation Bojinka was uncovered in the Philippines (see January 6, 1995), many of the plot’s major planners, including Ramzi Yousef, are found and arrested. One major exception is 9/11 mastermind Khalid Shaikh Mohammed (KSM). He flees to Qatar in the Persian Gulf, where he has been living openly using his real name, enjoying the patronage of Abdallah bin Khalid al-Thani, Qatar’s Interior Minister and a member of the royal family (see 1992-1996). [ABC News, 2/7/2003] He had accepted al-Thani’s invitation to live on his farm around 1992 (see 1992-1995). The CIA learned KSM was living in Qatar in 1995 after his nephew Ramzi Yousef attempted to call him there while in US custody (see After February 7, 1995-January 1996). The Sudanese government also tipped off the FBI that KSM was traveling to Qatar. Some CIA agents strongly urged action against KSM after his exact location in Qatar was determined, but no action was taken (see October 1995). In January 1996, KSM is indicted in the US for his role in the 1993 WTC bombing, and apparently this leads to an effort to apprehend him in Qatar that same month. FBI Director Louis Freeh sends a letter to the Qatari government asking for permission to send a team after him. [Los Angeles Times, 12/22/2002] One of Freeh’s diplomatic notes states that KSM was involved in a conspiracy to “bomb US airliners” and is believed to be “in the process of manufacturing an explosive device.” [New Yorker, 5/27/2002] Qatar confirms that KSM is there and is making explosives, but they delay handing him over. After waiting several months, a high-level meeting takes place in Washington to consider a commando raid to seize him. However, the raid is deemed too risky, and another letter is sent to the Qatari government instead. One person at the meeting later states, “If we had gone in and nabbed this guy, or just cut his head off, the Qatari government would not have complained a bit. Everyone around the table for their own reasons refused to go after someone who fundamentally threatened American interests….” [Los Angeles Times, 12/22/2002] Around May 1996, Mohammed’s patron al-Thani makes sure that Mohammed and four others are given blank passports and a chance to escape. A former Qatari police chief later says the other men include Ayman al-Zawahiri and Mohammed Atef, al-Qaeda’s number two and number three leaders, respectively (see Early 1998). [Los Angeles Times, 9/1/2002; ABC News, 2/7/2003] In 1999, the New York Times will report that “Although American officials said they had no conclusive proof, current and former officials said they believed that the Foreign Minister [Sheik Hamed bin Jasim al-Thani] was involved, directly or indirectly” in tipping off KSM. [New York Times, 7/8/1999] KSM will continue to occasionally use Qatar as a safe haven, even staying there for two weeks after 9/11 (see Late 2001). Rachid Ramda. [Source: Public domain]The London Times publishes one of the first Western newspaper articles about Osama bin Laden. The article says, “A Saudi Arabian millionaire is suspected of channeling thousands of pounds to Islamic militants in London which may have bankrolled French terrorist bombings.” Bin Laden is referred to as “Oussama ibn-Laden.” It says that he sent money to Rachid Ramda, editor in chief of Al Ansar, the London-based newsletter for the radical Algerian militant group the GIA. However, government sources say that the money ostensibly for the newsletter was really used to fund a wave of militant attacks in France in 1995 (see July-October 1995). 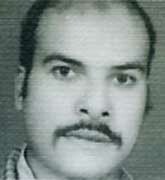 Ramda was arrested in London on November 4, 1995 at the request of the French government. [London Times, 1/5/1996] Two other people working as editors on the Al Ansar newsletter in 1995, Abu Qatada and Mustafa Setmarian Nasar, will later be found to be important al-Qaeda leaders (see June 1996-1997 and October 31, 2005). It will take ten years for Britain to extradite Ramda to France. He will be tried in France in 2005 and sentenced to life in prison for his role in the 1995 French attacks. [BBC, 10/26/2007] Bin Laden may have met with Ramda while visiting Britain in 1994 (see 1994). It will later be revealed that the 1995 attacks in France were led by an Algerian government mole (see July-October 1995), and the GIA as a whole was run by a government mole (see October 27, 1994-July 16, 1996). US demands for Sudan to hand over its extensive files about bin Laden (see March 8, 1996-April 1996) escalate into demands to hand over bin Laden himself. 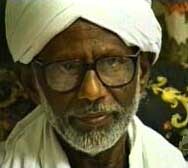 Bin Laden has been living in Sudan since 1991, at a time when the Sudanese government’s ideology was similar to his. But after the US put Sudan on its list of terrorism sponsors and began economic sanctions in 1993, Sudan began to change. In 1994, it handed the notorious terrorist “Carlos the Jackal” to France. In March 1996, Sudan’s defense minister goes to Washington and engages in secret negotiations over bin Laden. Sudan offers to extradite bin Laden to anywhere he might stand trial. Some accounts claim that Sudan offers to hand bin Laden directly to the US, but the US decides not to take him because they do not have enough evidence at the time to charge him with a crime. [Washington Post, 10/3/2001; Village Voice, 10/31/2001; Vanity Fair, 1/2002] Counterterrorism “tsar” Richard Clarke later will call this story a “fable” invented by the Sudanese and Americans friendly to Sudan. He will point out that bin Laden “was an ideological blood brother, family friend, and benefactor” to Sudanese leader Hassan al-Turabi, so any offers to hand him over may have been disingenuous. [Clarke, 2004, pp. 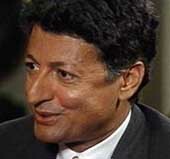 142-43] CIA Director George Tenet later will deny that Sudan made any offers to hand over bin Laden directly to the US. [US Congress, 10/17/2002] The US reportedly asks Saudi Arabia, Egypt, and Jordan to accept bin Laden into custody, but is refused by all three governments. [Coll, 2004, pp. 323] The 9/11 Commission later will claim it finds no evidence that Sudan offers bin Laden directly to the US, but it does find evidence that Saudi Arabia was discussed as an option. [9/11 Commission, 3/23/2004] US officials insist that bin Laden leave Sudan for anywhere but Somalia. One US intelligence source in the region later will state: “We kidnap minor drug czars and bring them back in burlap bags. Somebody didn’t want this to happen.” [Washington Post, 10/3/2001; Village Voice, 10/31/2001] On May 18, 1996, bin Laden flies to Afghanistan, and the US does not try to stop him (see May 18, 1996). According to counterterrorism expert Rohan Gunaratna, US intelligence monitoring al-Qaeda communications learn that al-Qaeda is canceling an attack on Western targets in Singapore. On April 18, 1996, 108 Lebanese civilians seeking refuge at a UN camp in Qana, Lebanon, are killed by mortars fired by Israeli forces. Bin Laden “was keen not to dissipate what he envisaged as widespread revulsion against Israel’s action and hence called off the strike in Southeast Asia. Al-Qaeda’s team in question was very determined to go ahead, having spent years preparing the attack, and according to the intercepts it proved difficult for Osama to convince it otherwise.” Gunaratna claims the US learned this through the NSA’s Echelon satellite network (see Before September 11, 2001) “and other technical monitoring of their communications traffic.” [Gunaratna, 2003, pp. 133-134] If true, this case supports other evidence that the US was successfully monitoring bin Laden’s communications from an early date (see Early 1990s) and that al-Qaeda’s Southeast Asia operations were penetrated years before an important al-Qaeda summit in Malaysia discussing the 9/11 plot (see January 5-8, 2000). The historical background of al-Qaeda. 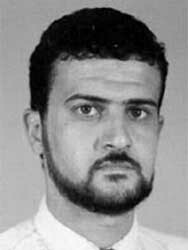 Al-Fadl was one of al-Qaeda’s founding members (see August 11-20, 1988). The structure of al-Qaeda and its leadership composition. Its financial infrastructure and networks. Al-Fadl has extensive knowledge of this because he worked as an al-Qaeda financial officer (see December 1996-January 1997). Its connections and collaboration with other terrorist groups and supporters. Its activities against US soldiers in Somalia (see October 3-4, 1993). Its activities in Bosnia. 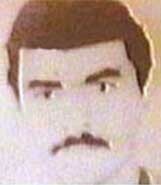 Al-Fadl was sent there on several missions (see Autumn 1992 and Autumn 1992). The Al-Kifah Refugee Center, al-Qaeda’s most important charity front in the US. Al-Fadl worked there in the 1980s (see 1986-1993). Bin Laden’s plans to attack either inside the US or US embassies (see Late 1996). By 1996, the bombing campaign of the Groupe Islamique Armé (GIA) targeting the civilian population in Algeria shocks even other radical Muslim militants around the world. The GIA has been supported by bin Laden since its inception, but through an associate group al-Qaeda declares: “Due to the deviations and legal mistakes committed by its [leader]… jihad in Algeria, which started almost five years ago, faced a major setback following the massacre of a number of leading scholarly and jihadi figures by the current [leader] of the GIA, who is believed to be surrounded by regime spies and collaborators.” [Gunaratna, 2003, pp. 184] Prominent radical imams Abu Qatada and Abu Hamza are forced to denounce the GIA around the same time due to widespread revulsion about the group’s tactics (see Mid 1996-October 1997). The next year, al-Qaeda will make a final public break with the GIA and form a new group to replace it (see September 1997-May 1998). 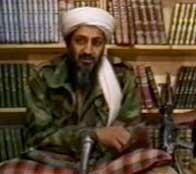 Bin Laden issuing his 1996 fatwa. [Source: PBS]Secure in his new base in Afghanistan, Osama bin Laden issues a public fatwa, or religious decree, authorizing attacks on Western military targets in the Arabian Peninsula. This eliminates any doubts that bin Laden is merely a financier of attacks, rather than an active militant. [US Congress, 9/18/2002] He made a similar call to attack US troops in Saudi Arabia in an open letter to the Saudi king the year before (see August 1995), which was followed by an actual attack (see November 13, 1995). The fatwa is published by Khalid al-Fawwaz, who runs bin Laden’s European headquarters in London. However, British authorities do not appear concerned. [O'Neill and McGrory, 2006, pp. 111] He will issue a new fatwa in 1998 authorizing attacks against the US and its allies all over the world (see February 22, 1998). The State Department issues a fact sheet on bin Laden, calling him “one of the most significant financial sponsors of Islamic extremist activities in the world today.” The text ties bin Laden to funding specific attacks, such as the attempt to kill dozens of US soldiers in Yemen in 1992 (see December 29, 1992). The fact sheet is also mentions the term “al-Qaeda,” leading to the first media reports using that term the next day (see August 14, 1996). The fact sheet also contains details about bin Laden’s finances, such as the allegation that he co-founded the Al-Shamal Islamic Bank in Sudan in 1990 with a group of wealthy Sudanese and capitalized it with $50 million of his fortune. [US Department of State, 8/14/1996; New York Times, 8/14/1996] Much of this information appears to come from al-Qaeda defector Jamal al-Fadl. The CIA had just finished debriefing him weeks before (see June 1996-April 1997). Not long after bin Laden moves back to Afghanistan (see After May 18, 1996-September 1996), he tries to influence an election in Pakistan. Benazir Bhutto, Prime Minister of Pakistan, is running for reelection against Nawaz Sharif, who had been prime minister earlier in the 1990s. (Bin Laden apparently helped Sharif win in 1990 (see October 1990).) “According to Pakistani and British intelligence sources, bin Laden traveled into Pakistan to renew old acquaintances within the ISI, and also allegedly met or talked with” Sharif. Sharif wins the election. Bhutto will later claim that bin Laden used a variety of means to ensure her defeat and undermine her. She will mention one instance where bin Laden allegedly gave $10 million to some of her opponents. Journalist Simon Reeve will later point out that while Bhutto claims could seem self-serving, “her claims are supported by other Pakistani and Western intelligence sources.” [Reeve, 1999, pp. 188-189] It will later be reported that double agent Ali Mohamed told the FBI in 1999 that bin Laden gave Sharif $1 million at some point while Sharif was prime minister (see Between Late 1996 and Late 1998). There are also reports that bin Laden helped Sharif become prime minister in 1990 (see October 1990). While Sharif will not support the radical Islamists as much as they had hoped, they will have less conflict with him that they did with Bhutto. For instance, she assisted in the arrest of Ramzi Yousef (see February 7, 1995), who had attempted to assassinate her (see July 1993). According to FBI agent Jack Cloonan, in 1999, imprisoned double agent Ali Mohamed will tell Cloonan that he helped arrange a meeting between bin Laden and representatives of Nawaz Sharif, who is prime minister of Pakistan from 1990 through 1993 and again from 1996 to 1999. Mohamed claims that after the meeting he delivered $1 million to Sharif’s representatives as a tribute to Sharif for “not cracking down on the Taliban as it flourished in Afghanistan and influenced the Northwest Frontier Province in Pakistan.” It is unknown when this took place, but it is likely between late 1996, when the Taliban gain control over much of Afghanistan and Sharif as prime minister would have been in a position to crack down against them or not, and late 1998, when Mohamed is arrested in the US (see September 10, 1998). Cloonan will later say that he believes the information from Mohamed is accurate. [ABC News, 11/30/2007] There have been other allegations that Sharif met bin Laden in 1996 and used his help to win the election for prime minister (see Late 1996), and also allegations that bin Laden helped Sharif win the election for prime minister in 1990 (see Late 1996). In 2001, four men will be convicted of participating in the 1998 embassy bombings (see 10:35-10:39 a.m., August 7, 1998). During their trial, it will come to light that the NSA was listening in on bin Laden’s satellite phone (see November 1996-Late August 1998). Additionally, during this time bin Laden calls some of the plotters of the bombing before the bombing takes place. The prosecution will show records revealing that bin Laden calls Kenya 16 times, apparently all before an August 1997 raid on the Nairobi, Kenya, house of Wadih El-Hage (see August 21, 1997), who is taking part in the embassy bombing plot and is bin Laden’s former personal secretary. The transcripts of two calls between El-Hage and al-Qaeda leader Mohammed Atef (using bin Laden’s phone) are even read to the jury in the trial. The defense however, shows that at least 40 additional calls are made from bin Laden’s phone to Kenya after El-Hage left Kenya in September 1997. Further, El-Hage makes some calls to Khalid al-Fawwaz, who essentially is serving as bin Laden’s press secretary in London and is being frequently called by bin Laden around the same time. 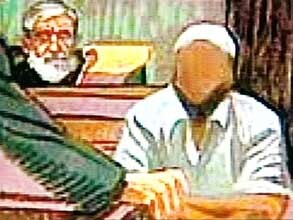 The transcript of a February 1997 call between El-Hage and Mohamed Saddiq Odeh, one of the other embassy bombing plotters, is also read to the jury. The US had been wiretapping El-Hage’s phone and other phones connected to the al-Qaeda Kenya cell, since at least April 1996 (see April 1996). [CNN, 4/16/2001] In one call, El-Hage is overheard saying after returning from visiting bin Laden in Afghanistan that bin Laden has given the Kenya al-Qaeda cell a “new policy.” After the raid on El-Hage’s house, US investigators will discover that policy is “militarizing” the cell. But most details of what is said in these calls has not been made public. [Washington Post, 5/2/2001] In another call in July 1997, cell member Fazul Abdullah Mohammed (a.k.a. Haroun Fazul) specifies which mobile phone the cell needs to use when calling bin Laden. [New York Times, 1/13/2001] US intelligence also listens in during this time as bin Laden frequently calls the Kenya office of Mercy International, an office that is being monitored because of suspected al-Qaeda ties (see Late 1996-August 20, 1998). It has not been explained how the US failed to stop the August 1998 embassy bombings, given their surveillance of all these calls before the bombing took place. The El-Hijra Construction and Development company, which builds a new airport at Port Sudan and a long highway linking Port Sudan to capital of Khartoum. The Taba Investment Company, which deals in global stock markets and currency trading. The Wadi al-Aqiq import/export company, which serves as the parent body for most of the other companies. The Ladin International import-export company. In 1995, the FBI discovered links between this company and the Bojinka plot in the Philippines (see May 23, 1999). And other businesses, including several farms, a tannery, and a trucking company. Al-Fadl reveals that some of the farms double as training camps. Ali Mohamed, the US-al-Qaeda double agent living in California. 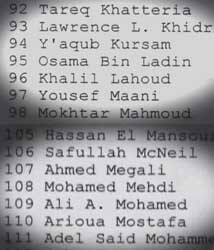 Mohamed has already been under surveillance since 1993 for his al-Qaeda ties (see Autumn 1993). He will not be arrested until one month after the 1998 African embassy bombings (see September 10, 1998). 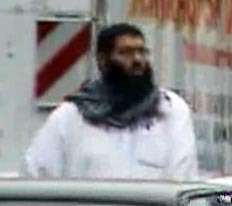 Ihab Ali Nawawi, an apparent al-Qaeda operative living in Orlando, Florida. It is not known if Nawawi is monitored after this, but communications between him, Mohamed, and El-Hage are discovered in January 1998 (see January 1998). He will not be arrested until May 1999 (see May 18, 1999). Farid Adlouni. He is a civil engineer living in Lake Oswego, Oregon. In 1996 and 1997, El-Hage calls Adlouni in Oregon 72 times, sometimes just before or after meeting with bin Laden. 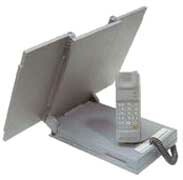 Later in 1997, Adlouni’s home phone and fax numbers will be found in two personal phone directories and one notebook kept by El-Hage (see Shortly After August 21, 1997). Records show that El-Hage has extensive dealings with Adlouni, mostly by selling gems El-Hage bought in Africa for a better price in the US. 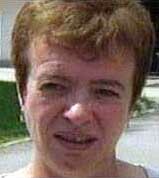 The FBI interviews Adlouni twice in late 1997, but he is not arrested. As of 2002, it will be reported that he continues to live in Oregon and remains a “person of interest” and subject of investigation by the FBI. According to a November 2001 Spanish government indictment, in August 1997, a Syrian Islamist militant named Abu Bashir is arrested in Yemen and accused of plotting to assassinate the Yemeni deputy prime minister. He is soon deported to Malaysia. London imam Abu Qatada then contacts Osama bin Laden and asks him for his help to get settled with a job and house in Malaysia. 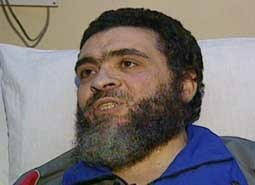 Then, in June 1998, Spanish al-Qaeda leader Barakat Yarkas and Qatada arrange for Bashir to move to London. The Observer will report in March 2004 that Bashir apparently is still living in public housing in London. [Observer, 3/21/2004] Presumably the Spanish government knows this because Spanish intelligence is heavily monitoring Yarkas at the time, and he is frequently meeting with Qatada in London (see 1995-February 2001). Qatada is working as a British government informant around this time (see June 1996-February 1997). 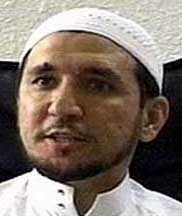 The exact identity of Abu Bashir is not known as there are several al-Qaeda-linked figures with a similar name. A 1997 FBI report on double agent Ali Mohamed states, “He knows, for example, that there are hundreds of ‘sleepers’ or ‘submarines’ in place who don’t fit neatly into the terrorist profile. These individuals don’t wear the traditional beards and don’t pray at the mosques.” [Raleigh News and Observer, 10/21/2001] This is very likely a reference to comments Mohamed made while having dinner with some FBI agents and US prosecutors on October 1997 (see October 1997). 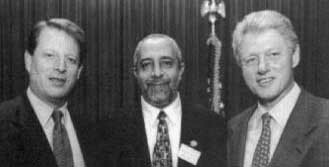 One attendee of that dinner, FBI agent Jack Cloonan, will recall a very similar comment Mohamed made then: “He said that he was in touch with hundreds of people he could call on in a moment’s notice that could be, quote, ‘operational,’ and wage jihad against the United States.” [Lance, 2006, pp. 274-276] If so, it is probable that other comments he made at the dinner were included in the FBI report as well, such as his comment that he loves and believes in bin Laden, the US is the enemy, and that he trained Somalis to kill US soldiers in 1993 (see October 1997). But the FBI still takes no action against him.